The British Virgin Islands will soon have an additional bank and more employment opportunities for persons in the financial sector. 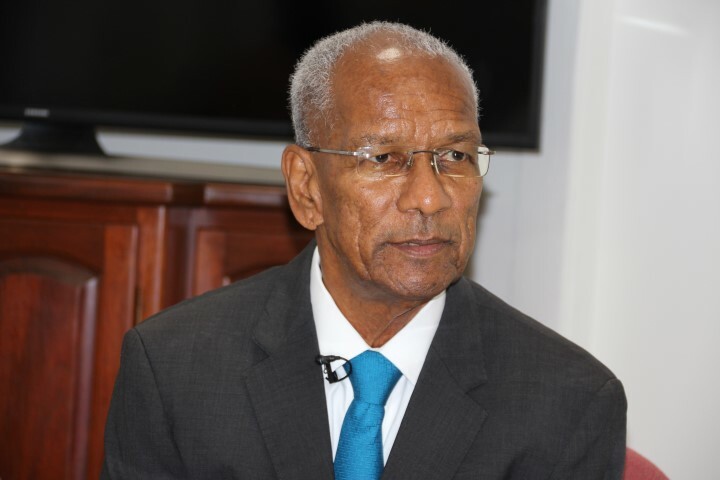 Premier Dr D Orlando Smith made the announcement to members of the press today, June 21, while giving an update on his recent two-week trip to the Asian continent. “The highlight of the mission was, of course, the opening of the Bank of Asia (BVI) at an event where over 500 business leaders and government officials were in attendance,” he said. According to Premier Smith, following the launch, they were given a tour of the bank’s premises. He said some of the 70 staff members at the bank were from the BVI. Meanwhile, the bank will be moving into a physical space in the territory. The Bank of Asia (BVI) Limited was established as a digital bank for corporates and individuals where clients can do banking transactions online without the need to visit a physical branch. The bank was set up in the territory to “address the growing needs of offshore companies, their owners and other multinational conglomerates,” the institution’s website said. 17. What products and services will you have? We currently offer deposit and remittance services. We are working hard to bring you more products and services such as foreign exchange, ATM cards and credit cards. We are also setting up affiliated licensed companies to provide wealth management, securities trading, asset management, corporate finance, and insurance products and services. … but BVI residents are banned from opening an account! Everybody else in the world can open an account but no BVI residents. You haven’t said that with the airline? Just want the public to know that we are on every move these guys are making right now in order to Chanel the monies made from these billionaires through this same bank. We will be watching every deposit, transfer, wire, and withdrawal transaction and bring justice to the system and the BVIslands which has been used to protect these corrupt politicians. One of the many reasons he is calling it quits and the others to come. this is what is giving the UK a headache. The bank is good for BVI financial services in that it solves a problem which has applied to BVI companies for sometime. However, as with everything else, the way the government presents it underlines the lack of business understanding within the government. There may be a few jobs in the BVI. However, the oremier took a tour of the bank’s premises in Asia. He could look at a single office in Commerce House in the BVI. This is largely an internet based bank. It has a license in the BVI but as with every other BVI corporate product there is no requirement for it to have significant presence here. Indeed as it is not licensed to offer services to people resident in the BVI it would be off for it to do so. Bank of Asia is good but not going to be a big employer. Instead the government has issued it a license for the purposes of enabling it to help BVI companies, but as with those BVI companies, allowed the value added product to be conducted elsewhere. In this instance I don’t have a problem with this, but the government is being misleading in how it is selling the bank’s value. Wait for it. Soon to be another national disaster. Money wastage. look at Chinese in Africa, they will not hire the natives, they will bring in their own staff. One day, BVI Islanders will awaken to realize that their island is owned by the Chinese! The government needs to legislate on credit card charges in BVI. BVI traders pay typically 3% and start up businesses pay 5%. These rates are way above what would be paid in the U.K. or USA. The EU enacted to limit credit card rates to 0.9% and decided that credit card companies could make profits at those levels. No credit card companies have pulled out of the EU since that legislation. Ultimately of course it is the BVI consumer who pays and our potential start up businesses who are punished. Once again BVI consumers are being ripped off. OOOOO This why they are going to be exempt from VISA (lol) brilliant! Boom! I glad someone has their eyes open! Everything comes down to interference and lack of skill and esource in government. Businesses that have stuck with us still wait months for permits. It is just not acceptable. It’s killing the resolve of business to remain here and the place is dead once it has gone. It will not come back. We need to ATTRACT businesses and tourists. Create a good efficient, welcoming experience. It is amazing how expats always implying that BVI Nationals lack experience and education for the job market yet expats are employed in position and are being taught or train on the job by BVI Nationals. This hiprocracy is practiced all over the world. It is a ploy being used to disenfranchise the locals. Let us bring our bank and our ppl with no visa and we’ll help you build your airport.